We discuss the modelling of consumer behaviour and the marketing decisions. To illustrate the applications, we present ongoing projects about the optimisation of a dealer network, the location of charging stations for electric vehicles, and the relevance of location analysis for family doctors. Prof. Dr. Lieselot Vanhaverbeke is Assistant Professor at the Vrije Universiteit Brussel, at the department of Business Technology and Operations (BUTO) and the research group Mobility, Logistics and Automotive Technology (MOBI). She teaches Operations Research and Research Methods. Her research on location analysis, consumer mobility and economic aspects of electric vehicles is published in different ISI journals. 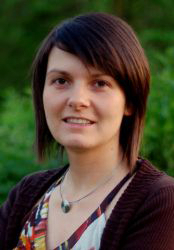 She is member of the Belgian Operational Research Society (ORBEL), EURO Working Group on Location Analysis (EWGLA) and The Institute for Operations Research and the Management Sciences (INFORMS).